Home » Science » What is EKG ? ? ? What is EKG ? ? ? 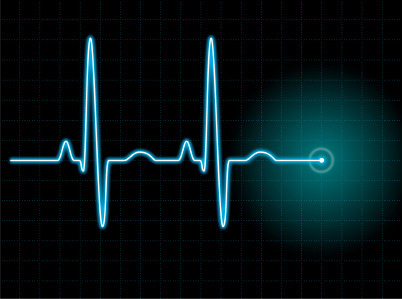 Electrocardiogram (EKG) is a graph produced by an electrocardiograph, which records the heart's electrical activity within a certain time. Its name consists of a number of different sections: "electro", since it relates to electronics, "cardio", the Greek word for heart, "g", a Greek root meaning "to write". Analysis of the various waves and normal vectors of depolarization and repolarization yields important diagnostic information. Alexander Muirhead connect the cable to the patient's wrist to obtain a patient's heart rate recordings during his lecture to the DSC (in electricity) in 1872 in St. Bartholomew's Hospital.Aktivitas was directly recorded and visualized using a Lippmann capillary electrometer by the British physiologist John Burdon Sanderson. The first to systematically approach the heart from an electrical point of view was Augustus Waller, who worked at St. Mary's Hospital in Paddington, London. Elektrokardiograf machine consists of a Lippmann capillary electrometer fixed to a projector. Traces heartbeat was projected onto a photographic plate that plugs into a toy train. This allows your heart rate to be recorded in real time. In 1911 he still saw his works are still rarely applied clinically. Breakthrough began when a Dutch-born physician of Semarang, Dutch East Indies (now Indonesia) named Willem Einthoven, working in Leiden, the Netherlands, using a string galvanometer that the discovery in 1901, which is more sensitive than the capillary electrometer that Waller used. Einthoven assigned the letters P, Q, R, S and T to the various deflections, and described the electrocardiographic features a number of cardiovascular disorders. In 1924, he was awarded the Nobel Prize in Physiology or Medicine for his discovery. Although the basic principles of that era are still used today, have been many advances in electrocardiography over the years. For example, the equipment has evolved from a cumbersome laboratory apparatus to compact electronic systems that often include computerized interpretation of the electrocardiogram. A typical ECG trace of a normal heartbeat (or cardiac cycle) consists of a P wave, a QRS complex and a T wave A small U wave is normally visible in 50-75% of ECGs. The baseline voltage of the electrocardiogram is known as the isoelectric line. Typically the isoelectric line is measured as a portion of the tracing following the T wave and preceding the next P wave. Related Posts : What is EKG ? ? ?